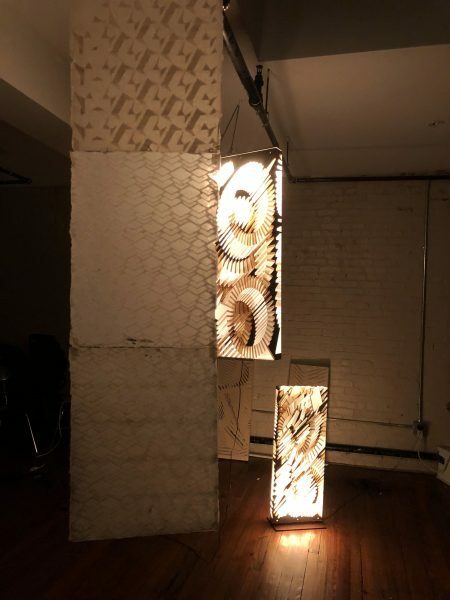 I will exhibit at the OSSAM Gallery of NY Brooklyn from 20th to 30th December. 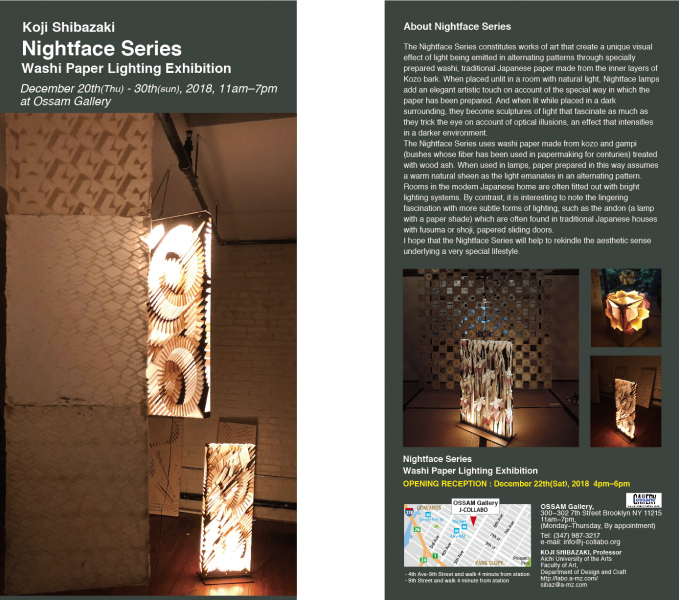 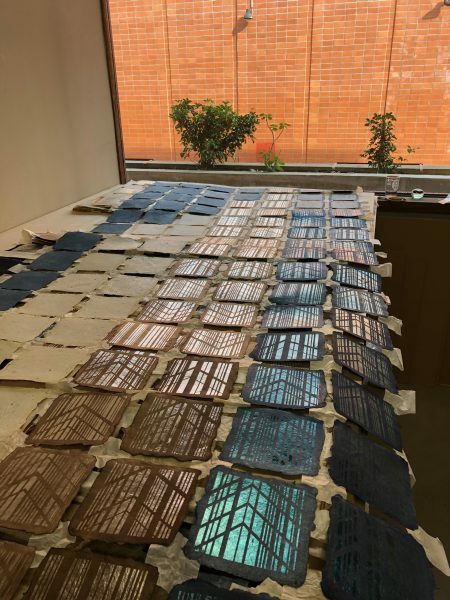 The Nightface Series constitutes works of art that create a unique visual effect of light being emitted in alternating patterns through specially prepared washi, traditional Japanese paper made from the inner layers of Kozo bark. 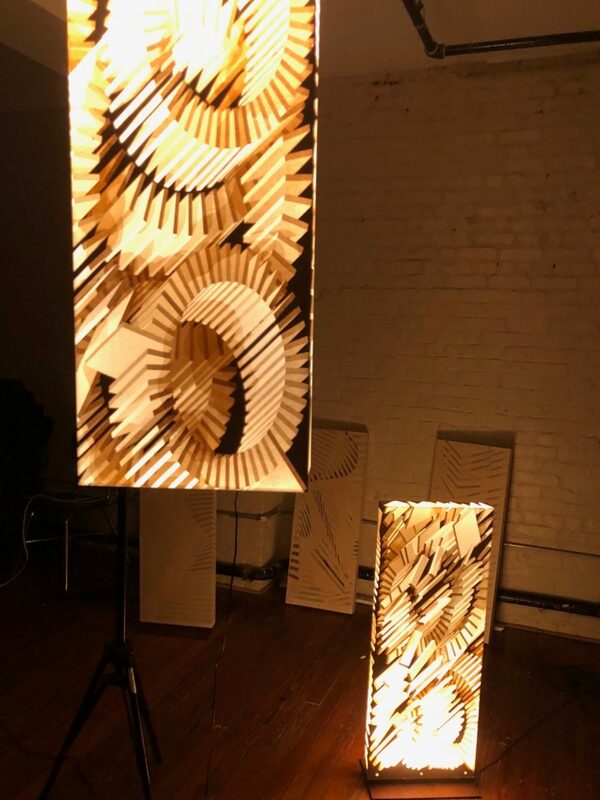 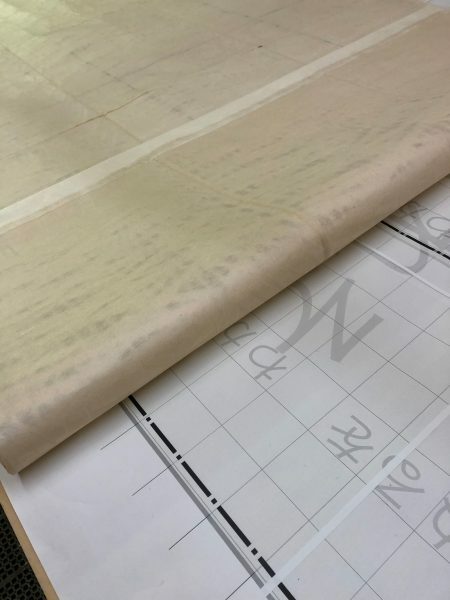 When placed unlit in a room with natural light, Nightface lamps add an elegant artistic touch on account of the special way in which the paper has been prepared. And when lit while placed in a dark surrounding, they become sculptures of light that fascinate as much as they trick the eye on account of optical illusions, an effect that intensifies in a darker environment. 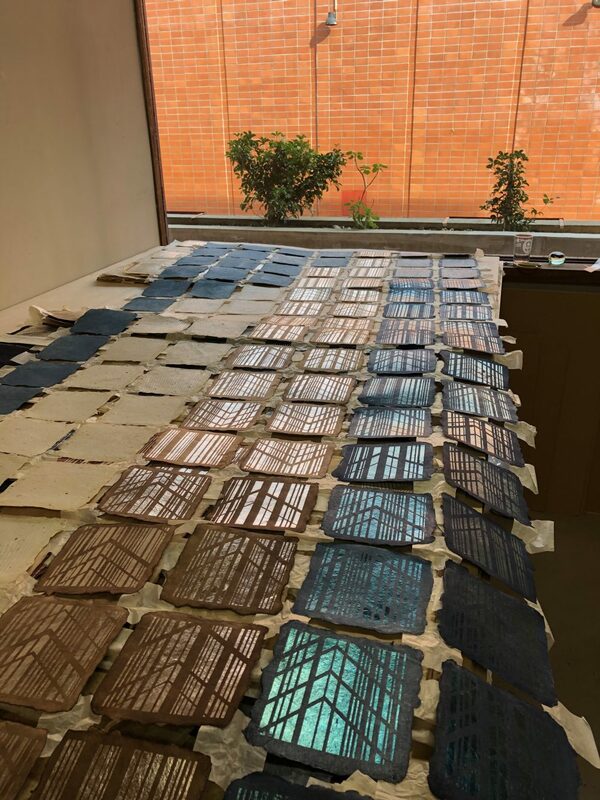 The Nightface Series uses washi paper made from kozo and gampi (bushes whose fiber has been used in papermaking for centuries) treated with wood ash. When used in lamps, paper prepared in this way assumes a warm natural sheen as the light emanates in an alternating pattern. 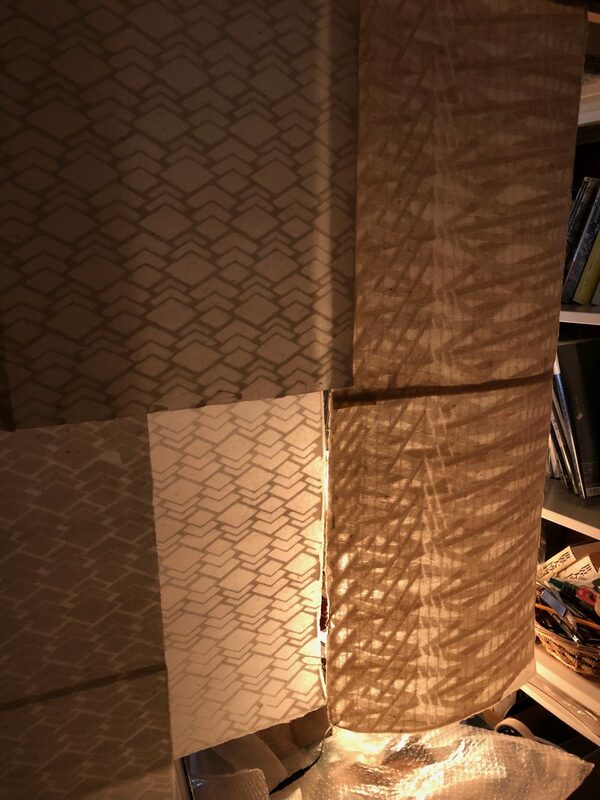 Rooms in the modern Japanese home are often fitted out with bright lighting systems. By contrast, it is interesting to note the lingering fascination with more subtle forms of lighting, such as the andon (a lamp with a paper shade) which are often found in traditional Japanese houses with fusuma or shoji, papered sliding doors. I hope that the Nightface Series will help to rekindle the aesthetic sense underlying a very special lifestyle.